Coastline In Big Sur. Pacific Ocean Waves Against Cliffs. 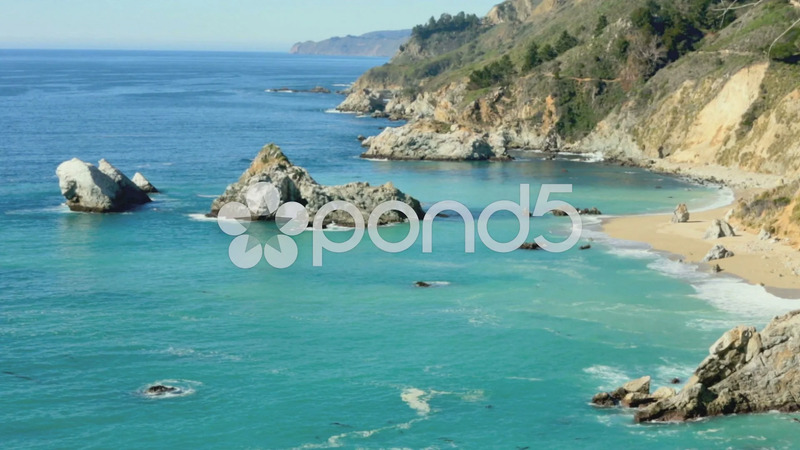 Description: coastline in Big Sur. Pacific Ocean waves against cliffs. Blue water and sunny day.